The compass changed the way the world traveled. It fostered exploration and embodied the idea that with the right tools, we can go anywhere and do anything. Our logo was inspired by this mechanism of possibility, and for accompanying so many on their journeys north, south, east, west and everywhere in between. The four arrows in our directional logo symbolize the values and behaviors that inform every decision we make. The two outer arrows express our mission to make the world a better place through innovation an adventure. The two inner arrows represent our core desire to be inspiring and inviting to all. This is more than a logo — it’s our promise to always point you in the right direction. Over the course of 2018 the awesome team at Rivian automotive and myself developed branding for corporate communications and vehicle badging. 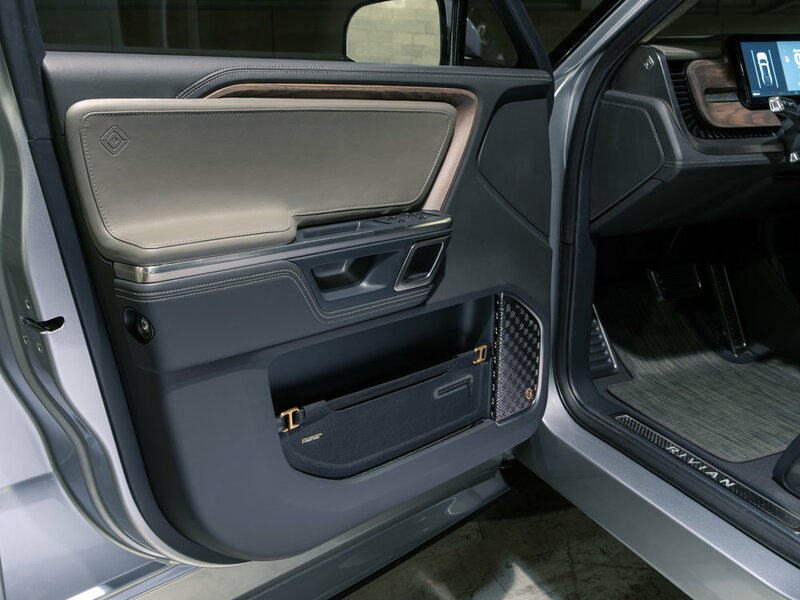 Rivian is an American automotive technology company with research and development operations in Plymouth, Michigan, San Jose, California, and Irvine, California. The firm also has a factory in Normal, Illinois and an engineering facility in the United Kingdom.